What is happening to the Retail Industry? - Marriott & Co.
What is happening to the Retail Industry? I suspect that at the tender age of 35, I am now something of ‘shopping dinosaur’ in that I do not shop online (although admittedly my household does receive packages courtesy of my wife’s online shopping habits). I prefer instead to purchase things the old-fashioned way, i.e. actually going to a shop and seeing (maybe even touching!) the item that I plan to buy before I decide to part with my hard-earned cash. However, it would appear that such traditional shopping is sadly, but firmly, on the decline. My inner ten-year-old will never quite get over the death of Woolworths some years ago, but more recently the insolvency of Toys R Us has startled Little Britain, leaving parents of my ilk wondering where we will be able to take the children in future for a ‘present choosing’ experience they will enjoy. 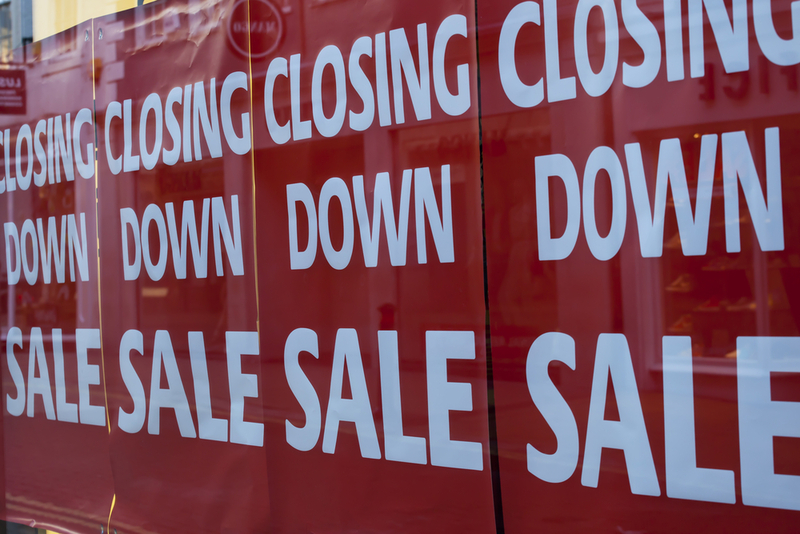 Other recent insolvencies in the world of retail include Claire’s Accessories, Maplin, Berwin & Berwin (B&B), Cloggs, Warren Evans, Justice Jewellers, Juice Corporation, Joe Bloggs, East, Nice ‘N’ Naughty Leisurewear, Barkers, Joe Delucci’s Gelato and Warwick. Further, large outfits such as New Look and Carpet Right are closing numerous stores and Mothercare have appointed KPMG to advise on a refinancing of the business. The increasing dominance and economies of scale enjoyed by supermarkets has clearly made it difficult for more specialist shops to compete, but with online convenience shopping set to take over further this century, I believe that in future even the supermarkets will be facing difficulties attracting footfall. I pondered some years ago, whilst studying, whether we are moving towards a warehouse dominated retail landscape whereby goods are purchased online, and the high streets are thereby turned into some kind of ‘residential and leisure hub’. However, in many parts of the UK, it appears worse than that at present with shops closing and being left vacant all over the country, causing a terrible waste of land considering the housing shortage this country is facing. It is possible that the retail industry could be facing a crisis soon and professional assistance will no doubt be needed to mitigate the potential damage that may be caused to the economy by such a crisis. My firm, Marriott & Co., as RICS business asset surveyors, have been instructed on a number of retail related valuation and disposal exercises in the last year, generally instructed by proposed insolvency practitioners in order to ensure that a company’s assets are sold for their Market Value and that its creditors are thereby appeased and protected. If you need professional assistance relating the valuation and sale of any retail assets, such as trading stock, fixtures and fittings, machinery, office equipment and furniture, then you need look no further than Marriott & Co. – our professional team will always provide you with sound independent advice and put our client’s best interests at the forefront of our concerns. We are able to competently offer a company’s business assets for sale both as a whole, in an attempt to keep them in-situ as a going concern (e.g. marketing them in accordance with SIP 16), or whenever necessary on a ‘break up’ basis for sale ‘ex-situ’ by online auction or private treaty. Either way, we will ensure the assets are realised for the best possible price in the circumstances, whilst giving our clients valuable protection. We are well versed in dealing with the intricacies of the insolvency market including fielding and managing Retention of Title (“ROT”) claims on our clients’ behalf whenever required. Do therefore call us on 01252 712083 if you think you might require our assistance.